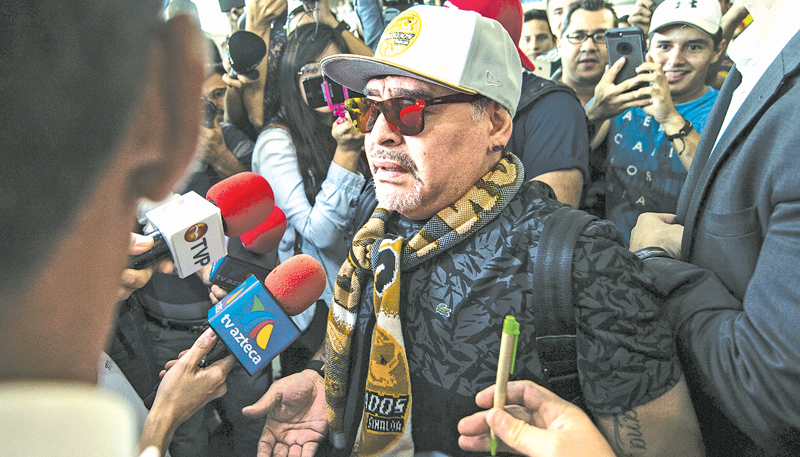 BUENOS AIRES, Sunday - As much as he was a genius with the ball at his feet, Diego Maradona's coaching career has been far from distinguished and took a curious turn when he joined Mexican second-division outfit Dorados. He played for some of Argentina's biggest and most prestigious clubs: Boca Juniors, Newell's Old Boys and Argentinos Juniors, while also representing his country 91 times and scoring 34 goals. "If I die, I want to be born again and play football to give the people joy," he once said. This is not the first time he's taken charge of a second-division side -- he left Al Fujairah of the United Arab Emirates in May after failing to guide them to promotion despite seven wins in 11 matches. Other spells at Deportivo Mandiyu and Racing Club in Argentina and UAE's Al Wasl were unmitigated failures.